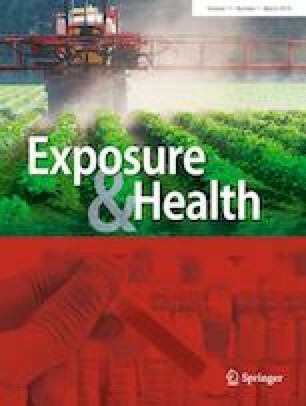 The study aimed at quantifying the levels of three major chemical carcinogens (MCCs): Pb, Cd, and Cr in wells, boreholes, and river water sources using HRCS AAS of Bagega, Sunke, and Dareta villages of Zamfara State, Nigeria; estimating daily MCC intake; and determining the cancer and non-cancer risks associated with MCC exposure. In total, 202 water samples were collected from the three villages and their MCC contents measured. The levels of Pb in the three Wells in Sunke ranged between 21 ± 9.8 and 326 ± 13.1 mg/L. The highest concentrations of Cd and Cr of 15 ± 7.1 and 96 ± 9.7 mg/L, respectively, were obtained in the affected area in Sunke village. A high incremental lifetime cancer risk of 1.59 × 103 for children due to Cd was obtained in Bagega village. The computed average Chronic hazard index (CHI) values for adults and children were 2.81 × 106 and 2.32 × 106, respectively, in drinking water from the river in Bagega village followed by an average values of 1.62 × 106 and 1.35 × 106 in drinking water from boreholes in Sunke village. The target hazard quotients and the CHI values were far greater than 1 indicating a high risk of adverse health outcomes. We are grateful to the Centre for Energy Research and Training (CERT), ABU, Zaria, for their support and provision of their ancillary facilities used in the analytical part of this work. We are also grateful to the personnel of the CERT for the technical assistance received from them.